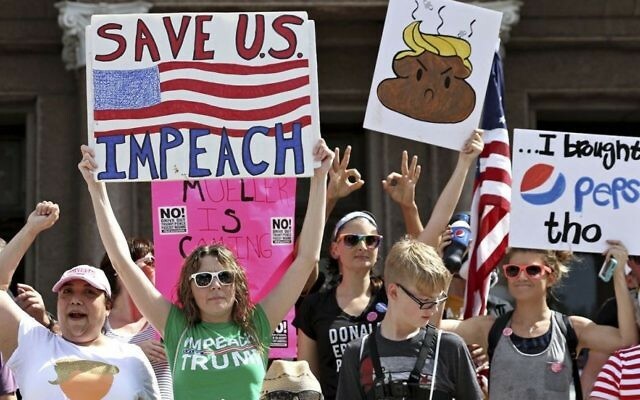 Thousands of demonstrators hoisting signs and chanting anti-Donald Trump slogans marched through downtown Los Angeles on Sunday to urge Congress to impeach the president. The Los Angeles march was one of several similar gatherings Sunday across California and the nation. One rally took place in Austin, Texas, the state’s capital. 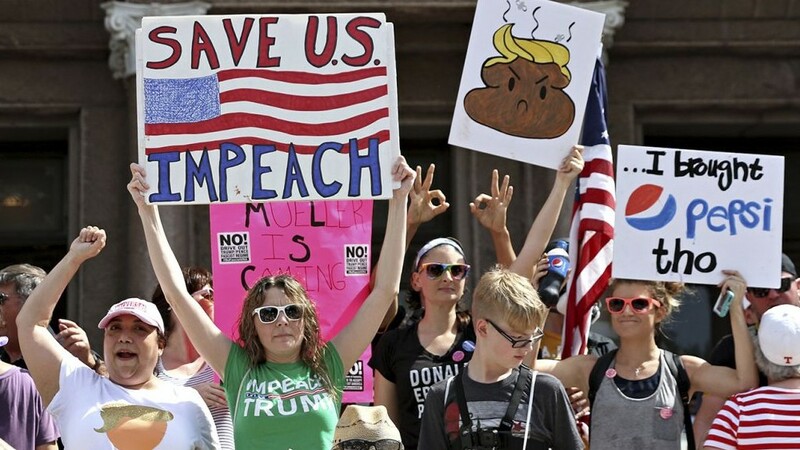 Organizers say they believe the president has violated the US Constitution and obstructed justice. Marcher John Meranda told the Los Angeles Times he has attended five recent anti-Trump marches. The 56-year-old said he’s most recently frightened by the Republican proposal to cut billions of dollars from the Medicaid program. A smaller group of pro-Trump protesters gathered nearby outside Los Angeles police headquarters. The Trump supporters say they’re unconcerned about allegations that Trump tried to thwart an FBI investigation of former national security adviser Michael Flynn.